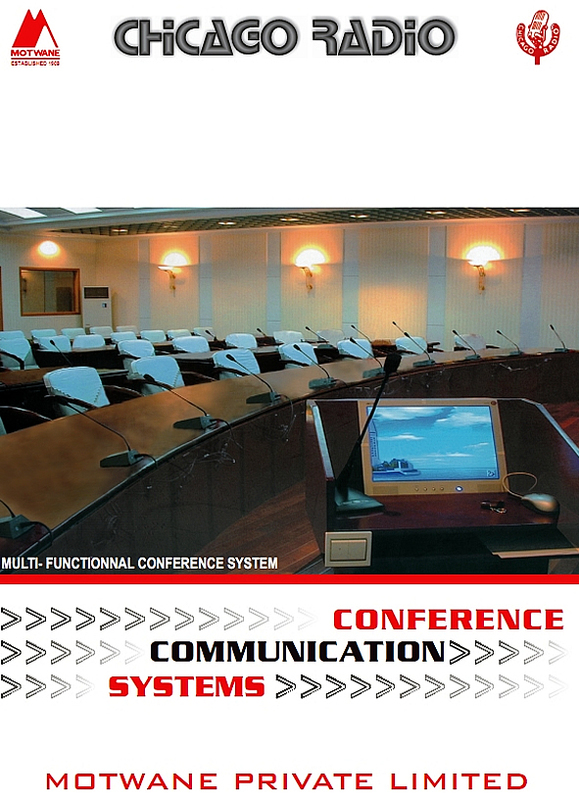 Motwane specialises in Conference Communication Systems and related facilities such as Professional Audio Systems, Public Address and Paging, and Simultaneous Interpretation Systems. range is not only the most technically sophisticated but also the most flexible. Infra-red technology also features strongly in the product range. The latest multi-channel wireless audio distribution system. A substantial part of the Company’s output is customised and the extreme flexibility of the product range and the manufacturing facilities enable almost any variation to be supplied. Most custom requirements are limited to architectural features. We undertake changes in facilities or operating modes and to create applications specify software. Automatic Discussion Systems provide immediate sound reinforcement in Meeting Rooms, and in Company Board Rooms. Micro-processor controlled Conference Systems provide control of meeting for Council Chambers and in multi-purpose conference halls. Computer Controlled Integrated Microphone, Voting, and Card-Reader Systems provide the most sophisticated facilities for large chambers and Conference Centers. Micro-processor controlled Simultaneous Interpretation Systems can be either portable or permanent . Many products have wider applications outside the conference room, such as for Courtroom Systems, Hotel Meeting Rooms, Art Galleries, Museums and tourist attractions. Motwane is primarily a specialist Systems Design a Manufacturing organisation which can supply complete systems as a package. All systems are designed and built to individual order. Full documentation, including cable and installation data is provided by the supplier and factory engineers are available to assist on site. For those users who do not sub-contract, Motwane can fulfil the overall requirements for supply and installation. Motwane has proud record for after-sales service. First-line service facilities are always provided through factory trained regional offices and factory engineers are on stand-by to support any user with serious problem.